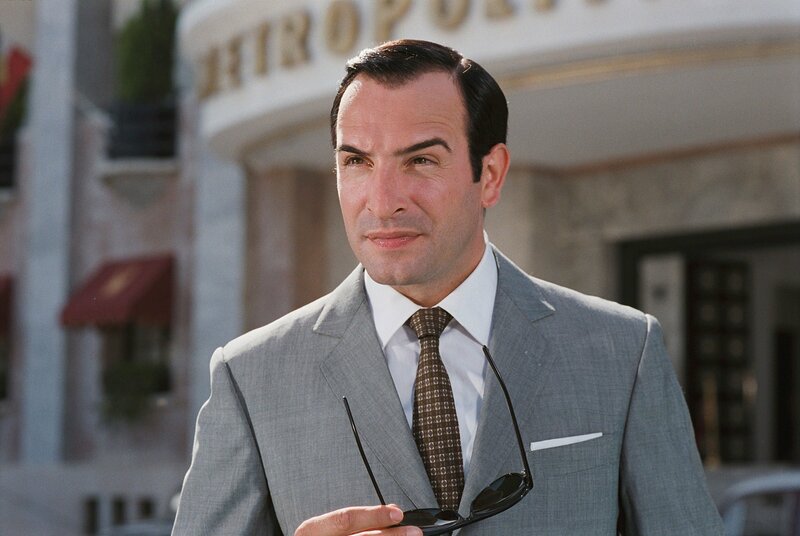 A box-office sensation in France, comic star Jean Dujardin stars as secret agent Hubert Bonisseur de la Bath, a.k.a. 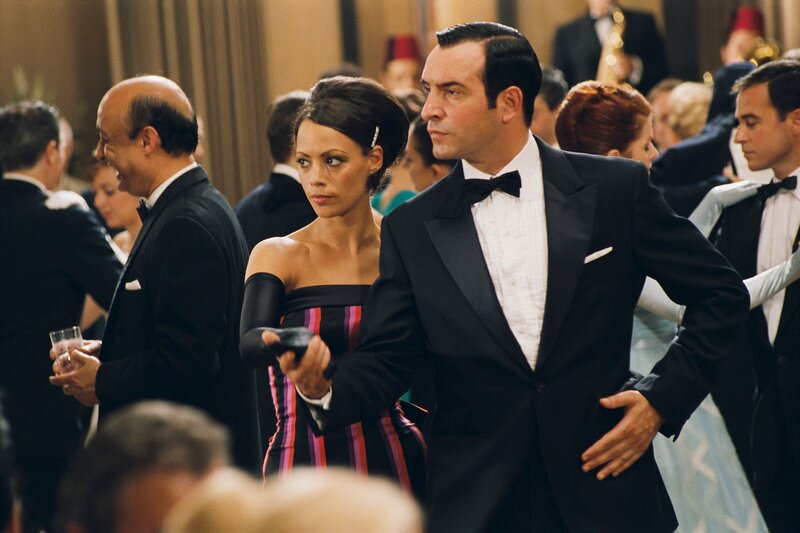 OSS 117 who in the tradition of Maxwell Smart and Inspector Clouseau somehow succeeds in spite of his ineptitude. After a fellow agent and close friend is murdered, Hubert is ordered to take his place at the head of a poultry firm in Cairo. This is to be his cover while he investigates Jack’s death, monitors the Suez Canal, checks up on the Brits and Soviets, burnishes France’s reputation, quells a fundamentalist rebellion and brokers peace in the Middle East. A blithe and witty send-up not only of spy films of that era and the suave secret agent figure but also neo-colonialism, ethnocentrism and the very idea of Western covert action in the Middle East. 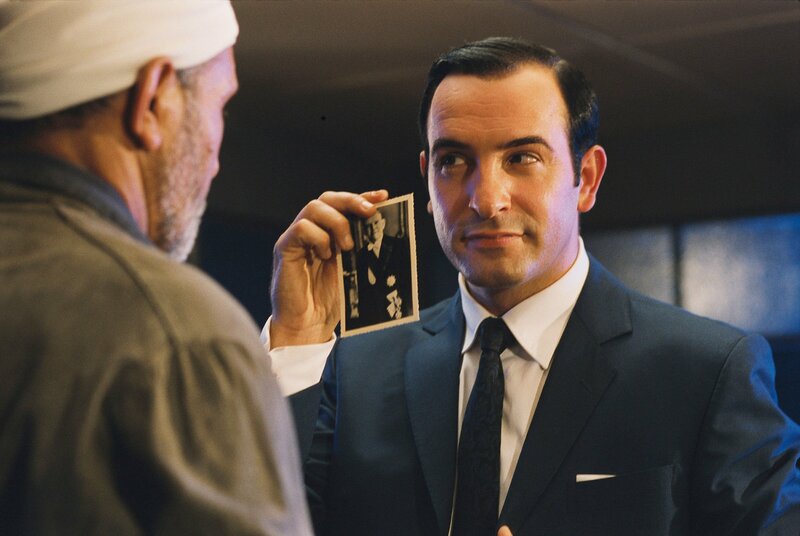 "This inspired piece of silliness boasts gorgeous period design, deftly tweaks French colonial smugness and, in Jean Dujardin’s self-mocking playfulness as Agent 117, offers a charging comic turn, closer in spirit to Cary Grant than Mike Myers." 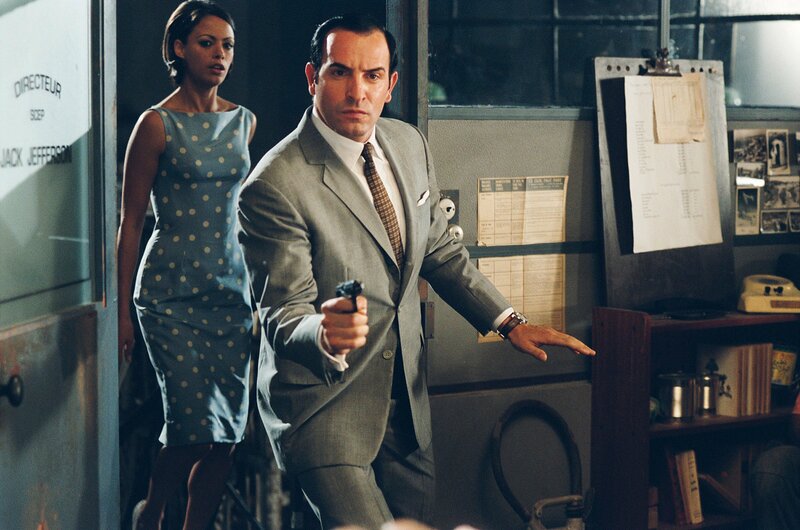 "Sparkling production design, a jubilantly retro score and a genuine flair for using the film and TV vocabulary of the ’60s to revisit colonial arrogance put pic in the same conceptual ballpark as Austin Powers or The Naked Gun series." Cinematography : Guillaume Schiffman A.F.C.